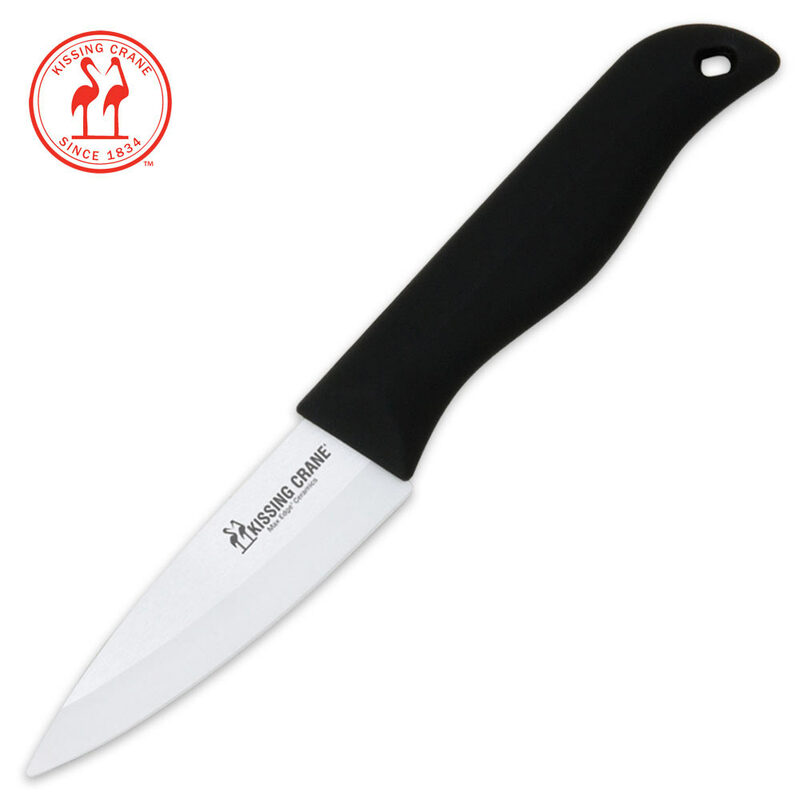 Kissing Crane Max Edge White Paring Knife | BUDK.com - Knives & Swords At The Lowest Prices! Kissing Crane has jumped head first into the world of kitchen cutlery with its razor sharp Max Edge ZrO2 Ceramic blade chef's knives. Each Max Edge ceramic knife must meet strict quality standards before leaving the Kissing Crane factory.